Republican skepticism is blocking the flow of money and manpower that helped Scott Brown. BOSTON – Republican Senate candidate Gabriel Gomez is on his own — at least for now. National Republican allies, conservative activists and major Republican donors outside Democratic-leaning Massachusetts are skeptical of Gomez’s chances in the state’s June 25 special election to replace former Sen. John Kerry. While local Republicans are excited about the former Navy SEAL-turned-businessman, the early skepticism is blocking the larger flow of money and manpower that helped Republican Scott Brown score an unlikely special election victory here three years ago to replace the late Democratic Sen. Ted Kennedy. Several top Republican donors say they know virtually nothing about Gomez, whose previous political experience is limited to an unsuccessful run for town selectman. The Senate Republican national campaign committee has yet to decide whether to invest significant resources, and likely won’t until it’s convinced that the race is winnable. And the tea party movement’s national network of small-dollar donors has shied away from the socially moderate Gomez, who acknowledged giving money to President Obama in 2008. Gomez, 47, emerged from relative obscurity to win last week’s low-turnout three-way Republican primary. In many ways, he fits the profile of a new brand of politician that national Republican leaders described in a March report calling for better minority outreach and more inclusive tones on immigration and social issues. The son of Colombian immigrants who speaks fluent Spanish, Gomez supports gay marriage and personally opposes abortion, but hasn’t advocated overturning Roe v. Wade, the 1973 Supreme Court decision that established a nationwide right to abortion. In the general election, Gomez is competing against Democratic Rep. Ed Markey, 66, who was first elected in 1976 and is dean of the state’s all-Democrat congressional delegation. 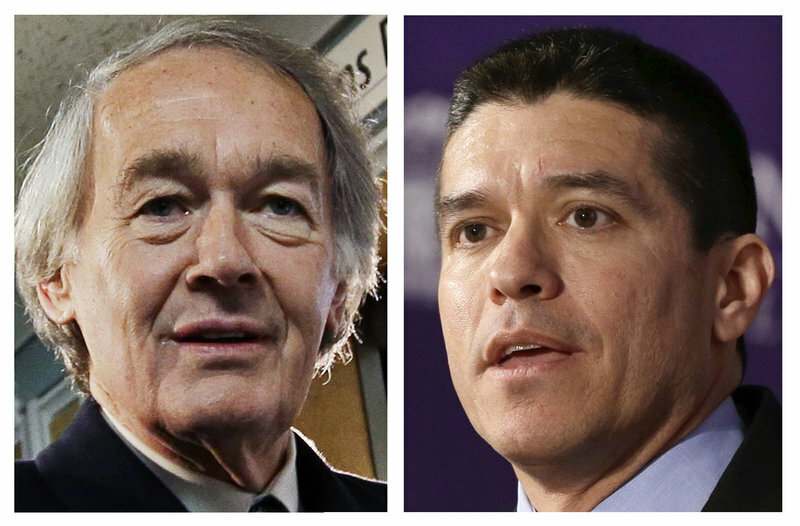 In Congress for more than three decades, Markey has been repeatedly painted as an out-of-touch Washington insider by opponents in both parties. The congressman has also faced difficult questions about whether he maintains a home in his Massachusetts district at all. But while Markey has weaknesses, the political realities of Massachusetts politics make it difficult for Republicans to win here. Only around 11 percent of state voters are registered Republicans. All of Massachusetts’ members of Congress — nine representatives and two senators — and its statewide officers are Democrats. Indeed, Brown stunned the political world in 2010 by winning the special election for the seat left vacant with Kennedy’s death. But the victory was fueled by a flood of tea party volunteers and out-of-state money that allowed the little-known state senator to blanket the television airwaves and generate a sophisticated statewide get-out-the vote operation, taking Democrats by surprise. Undaunted by the lack of national Republican attention, Gomez spokesman Will Ritter said Monday that the campaign has raised more than $200,000 online and already signed up more than 4,000 volunteers in the days since last week’s primary victory. But with Election Day seven weeks away, the donations represent a fraction of the support Brown attracted in 2010. Brown ultimately raised and spent more than $10 million on his winning bid, although two years later he was defeated by Democrat Elizabeth Warren. The tea party donors who lined up behind Brown worked against Gomez in the days before last week’s primary. Gomez has one advantage that Brown did not: the ability to tap super political action committees, which emerged in full force after Brown’s 2010 race. He has so far resisted taking the so-called “People’s Pledge” that helped prevent outside groups from spending money in the state’s last high-profile Senate contest. Without such a pledge, Gomez could be the beneficiary of super PACs that can raise and spend unlimited sums of money on his behalf. Markey is trying to make Gomez’s refusal to sign the pledge a campaign issue. Eric Fehrnstrom, previously a top aide to former presidential candidate Mitt Romney, already is working on advertising to help Gomez through the super PAC known as the Committee for a Better Massachusetts, which raised at least $50,000 in the weeks before the primary election, relying upon just three donors. But in a race that’s expected to cost millions, it’s unclear how many donors will bet big on Gomez. Some of the party’s most prominent donors in recent days said they knew little about Gomez, and that it was simply too early to know whether he could make the race competitive. And none planned to donate until that question was answered. Many are waiting to take their cues from the National Republican Senatorial Committee and to see whether it would devote major resources on the race. So far, the committee has set up websites and low-cost online videos attacking Markey, but it hasn’t yet decided whether to make more significant investments in television advertising until conducting its own polling.